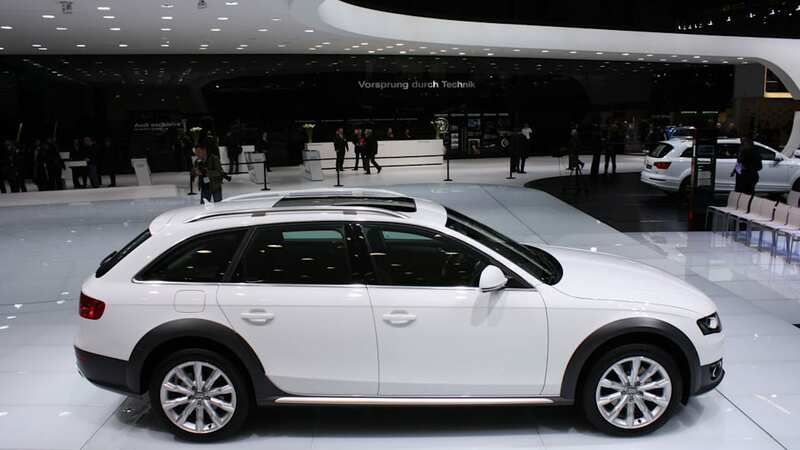 Audi has rolled out its new 2010 Audi A4 Allroad here at the Geneva Motor Show, and while the turbocharged stiltswagon wasn't originally expected to reach U.S. dealerships, word coming out of the show from Automotive News is that this is under discussion. As you may recall, Audi's very first Allroad, the A6-based softroader, was sold from 2000 to 2005 in the U.S, but the second-generation range (currently on sale in Europe) never made it to America because of the initial model's slow sales. 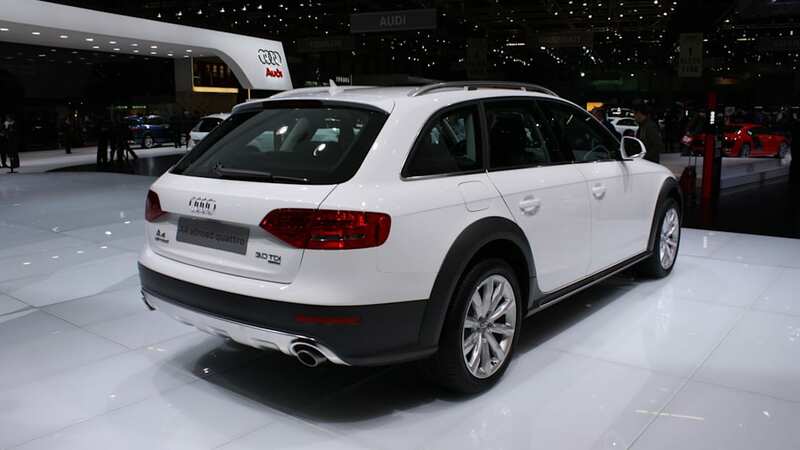 The flared-fender A4 Allroad goes on sale in Europe as you read this (base price: 37,100 Euros - about $46,700 USD), carrying under its hood a 211-horsepower, 2.0-liter TFSI four-cylinder or one of two TDI diesels – either a 2.0-liter (170 hp) or a 3.0-liter (240 hp). Presumably, if America gets the A4 Allroad at all, it will receive the gas engine variant only where it would match up as a premium-price alternative to the Subaru Outback and forthcoming Saab 9-3X. Of course, Audi may decide to once again import the A6-based Allroad instead – or pass on both altogether, so stay tuned. High-res gallery of live shots below, official press release after the jump. A vehicle that knows no boundaries: Audi is launching the A4 allroad quattro. With its permanent all-wheel drive and increased ground clearance, the A4 can handle any road or trail; it also offers driving pleasure – even on unpaved surfaces. Naturally, the Audi A4 allroad quattro features all the innovative technologies which impart to the A4 model line its superiority: a range of powerful and highly energy-efficient engines, Audi drive select (intelligent handling technology), the high-tech S tronic transmission, and innovative communication and assistance systems. The vehicle will be available in early summer at a basic price of 37,100 euros. The design of the Audi A4 allroad quattro recalls the A4 Avant: crisp lines enclose tastefully curved surfaces and the low roof line establishes a coupé-like silhouette. Striking details re-interpret this model line's sporty elegance. The moon-gray single-frame radiator grille bears vertical chrome strips; an accentuated bumper and large air inlets underscore this vehicle's unique identity. Chrome rings encircle the fog lights. And in the option featuring xenon plus headlights, light-emitting diodes comprise the daytime running lights and taillights. Underneath the front end and tail end, the A4 allroad has a stainless-steel underbody guard. Viewed from the side, the vehicle dazzles with flared wheel arches, angular sills (available with stainless-steel insert strips), and large wheels – 17-inch wheels in 7-arm design are standard. The roof is capped off by an offset rail with two high crosspieces. 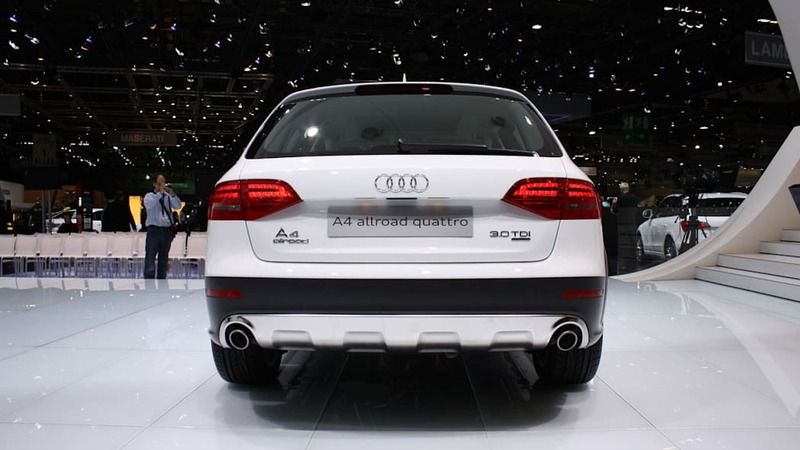 The width of the A4 allroad quattro is emphasized by the rear bumper's distinctive styling and the integrated horizontal reflectors. 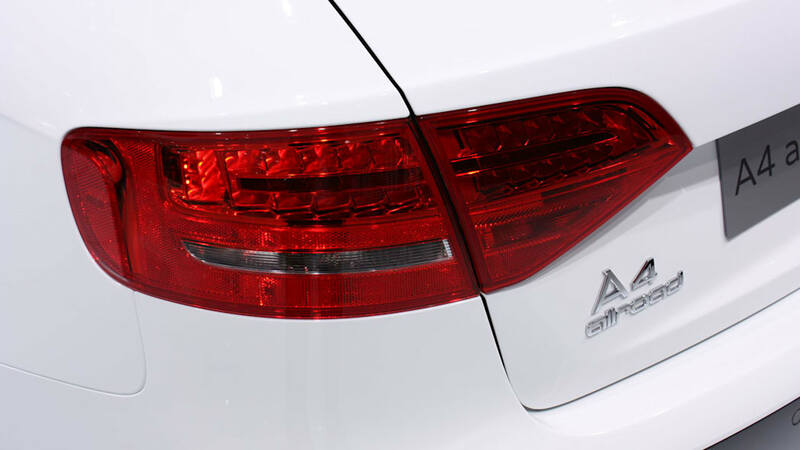 On the 2.0 TDI, the two exhaust tailpipes appear side by side; on the 2.0 TFSI and 3.0 TDI, they terminate to the left and to the right. The Audi A4 allroad quattro is a truly expressive car. Its measurements include: 4.72 meters (15.49 ft) in length, a wheelbase of 2.81 meters (9.22 ft), 1.84 meters (6.04 ft) in width, and 1.50 meters (4.92 ft) in height. It also features greater ground clearance than the Audi A4 Avant: 180 millimeters (7.09 inches) when the Audi A4 allroad quattro is unloaded. Audi has created a vehicle body consisting primarily of high-strength and ultra-strong steel panels – which, in turn, reduce the car's weight while enhancing its rigidity, vibrational comfort, and impact safety. An array of precisely arranged metal sections protects passengers in the event of an accident. In addition to the two front airbags, which take into consideration the precise positions of the driver and front-seat passenger, there are side air bags in the front and, optionally, in the rear as well. Last but not least, a head-protection airbag system also stands at the ready. The integral head-restraint system in the front diminishes the risk of whiplash in the event of a rear-end collision. The luggage compartment's base capacity is 490 liters (17.30 cubic feet). This can be increased, however, to an impressive 1,430 liters (50.50 cubic feet) and a length of 1.78 meters (5.84 feet) by folding down the split rear-bench backrest, which optionally features a load-through hatch with removable ski bag. The hatch is exactly one meter wide (3.28 feet). The luggage compartment boasts an ingenious design which enhances its use and is lined with high-quality carpet. Befitting its character, the A4 allroad quattro has a wealth of practical flourishes: the luggage-compartment cover and the partition safety netting are stored in separate compartments; a mere tap of the hand triggers the cover to automatically retract upward. Additional standard equipment includes fastening rings and bag hooks as well as a shelf on one side with an adjustable net. Every Audi A4 allroad quattro also has a reversible loadliner, the underside of which has been designed as a dirt-resistant tray. Optional equipment includes a reversible mat, a 12-volt outlet, an electromechanical assembly for the tailgate, and a load-securing set with a telescopic rod and strap retainer. The load-securing set's two rails in the floor allow the luggage compartment to be divided as required. Refined touches, uncompromising quality and flawless functionality: the interior of the Audi A4 allroad quattro embodies all the strengths for which Audi is renowned. The cockpit clearly serves the driver. Among the control unit's highlights: the standard electromechanical handbrake – which has replaced the lever on the center console with a button – and the central on-board monitor. A color display complements the concert or symphony sound system, or the MMI navigation system plus; the MMI's offset control unit is housed in the center console. Customers can choose one of several different trim materials: an exclusive allroad fabric, two types of leather, or an Alcantara/leather combination. The fabric designs are available in two colors and the leather trim in seven colors (two of which feature sporty contrasting stitching). Standard inlays are micrometallic platinum; options include aluminum trigon, natural fine-grain ash, laurel nutmeg, and walnut brown. Carpeting is made of velour; the headlining is star silver, linen beige, or black (optional). Many of the operating controls gleam thanks to their standard aluminum look; the door sill trims bear special allroad logos. As for seats, Audi offers a seat-heating system, electrical adjustability, a sporty version with pronounced side sections, and climate-controlled comfort seats. The latter not only can be heated, but also deliver relief on hot days thanks to an integrated cooling unit with small fans. The long wheelbase of the A4 allroad quattro ensures plenty of interior space – even on the rear bench seat. Audi will initially offer three different engines for the A4 allroad quattro: a gasoline engine and two diesel engines. All three are turbocharged direct-fuel-injection engines. They command respect due to excellent performance, impressive pulling power, smooth running, and high fuel efficiency. The engines are further bolstered by pioneering technologies arising from Audi's modular efficiency expertise. For example, all three units boast a standard on-board recuperation system, which converts mechanical energy into electrical energy during deceleration. The 2-liter TFSI – voted "Engine of the Year" on four consecutive occasions by an international panel of experts – incorporates three high-end technologies: FSI direct gasoline injection, the turbocharger, and the Audi valvelift system, which boosts pulling power by means of a variable control system. Between 1,500 and 4,200 rpm, the four-cylinder engine delivers 350 Nm of torque to the crankshaft. Peak output is 155 kW (211 bhp). 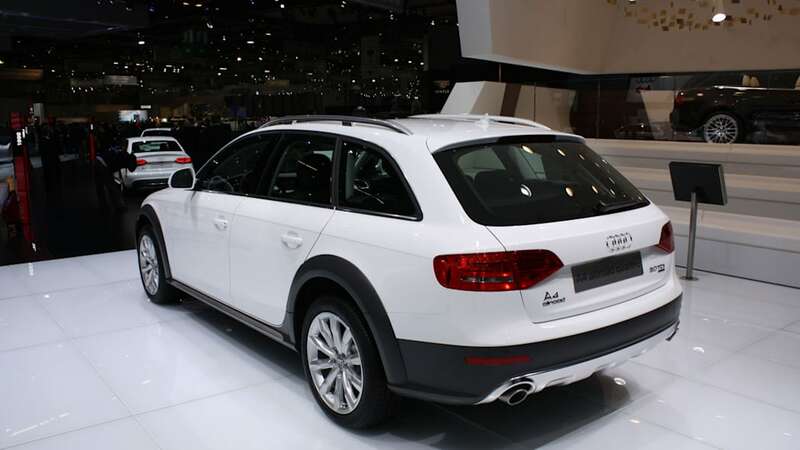 In addition, the 2-liter TFSI propels the Audi A4 allroad quattro to 100 km/h (62.14 mph) in just 6.9 seconds, and to a top speed of 230 km/h (142.92 mph). On average, it consumes a mere 8.1 liters of fuel per 100 km (29.04 mpg). As for the 2.0 TDI, the successor to the most successful diesel engine ever, a common-rail system providing injection pressure of 1,800 bar ensures excellent driving refinement. The two-liter diesel engine delivers 350 Nm between 1,750 and 2.500 rpm. A respectable 125 kW (170 bhp) provides admirable output, yet requires just 6.4 liters of fuel per 100 km (36.75 mpg). 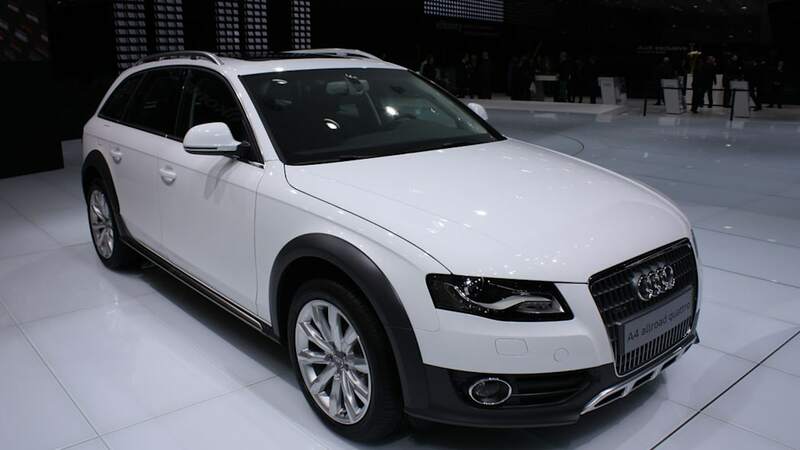 The Audi A4 allroad quattro 2.0 TDI reaches 100 km/h (62.14 mph) in 8.9 seconds and a top speed of 213 km/h (132.35 mph). The very best of the three engines is the 3.0 TDI. This V6 diesel produces 176 kW (240 bhp) and transmits 500 Nm of torque to the crankshaft at 1,500 to 3,000 rpm. The 3.0 TDI in conjunction with S tronic propels the Audi A4 allroad quattro to 100 km/h (62.14 mph) in 6.4 seconds, and tops out at 236 km/h (146.64 mph). On average, the three-liter engine sips only 7.1 liters of fuel per 100 km (33.13 mpg). Like the other two engines, it already meets the EU's Euro 5 emission standard. 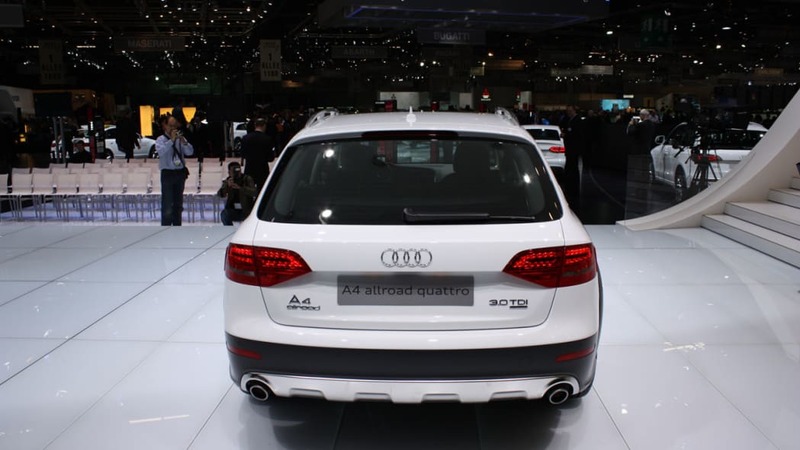 The 2.0 TDI transmits its power to a six-speed manual transmission. The 3.0 TDI and 2.0 TFSI feature the next generation of Audi's dynamic and very efficient S tronic. This innovative dual-clutch transmission switches extremely smoothly among its seven gears within a few hundredths of a second. S tronic also excels thanks to its high efficiency ratio and a broad spread of the gear ratios. The seven-speed S tronic has a fully automatic mode at the ready: the driver can shift as required, if necessary via shift paddles on the steering wheel. 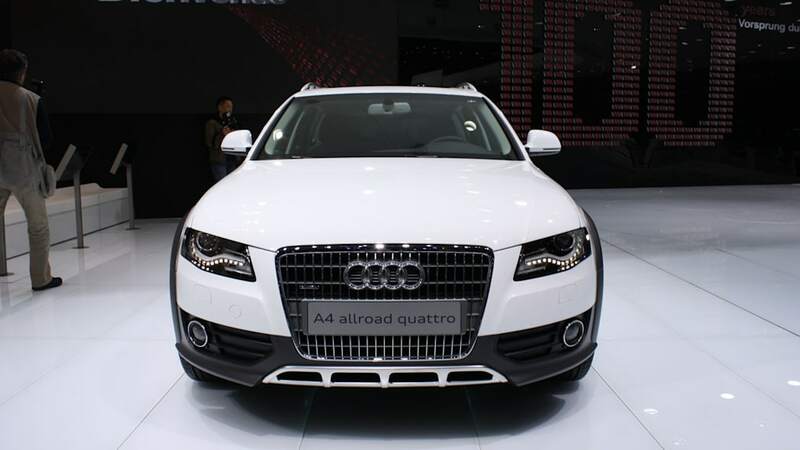 In the Audi A4 allroad quattro drivetrain, the differential is in front of the clutch and immediately behind the engine. This technical stroke of genius made it possible to reposition the front axle much closer to the vehicle's front end, in turn allowing for a long wheelbase and an ideal distribution of the axle loads. The benefits include steady straight-line stability, superb ride comfort, and excellent driving dynamics. 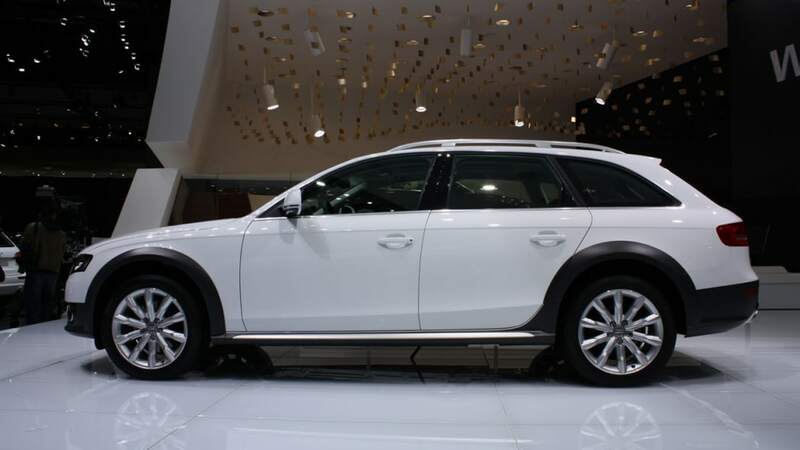 The Audi A4 allroad quattro features quattro permanent all-wheel drive as standard equipment. Its purely mechanical center differential favors the rear, distributing power at a 40:60 ratio to the front and rear axle. If necessary, the quattro permanent all-wheel drive can route up to 65 percent to the front or as much as 85 percent toward the tail end. The width of the Audi A4 allroad quattro lays the foundation for its driving dynamics. The car's track is 1,583 mm (62.32 in.) at the front and 1,574 mm (61.97 in.) at the rear – some 20 mm (0.79 in.) wider, respectively, than the A4 Avant. The body is higher on account of a new chassis with longer springs, which – like the new shock absorbers – combine sportiness with comfort. The standard, 17-inch lightweight alloy wheels are fitted with 225/55 tires. At a diameter of 690 millimeters (27.17 inches), even this standard configuration looks rather imposing. For the time being, Audi is also offering 18-inch wheels. 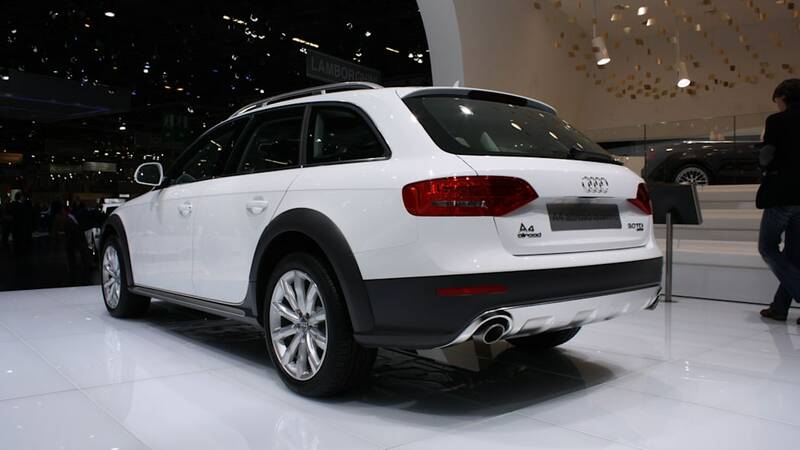 The chassis in the A4 allroad quattro retains all the advantages which distinguish the A4 model line. Steering is straightforward and responsive. A steering box beneath the wheel conveys the driver's input directly to the wheels. The five-link front suspension and the self-tracking trapezoidal-link rear suspension consist largely of aluminum to reduce unsprung weight. 16-inch brakes with excellent cooling behavior provide for rapid deceleration. 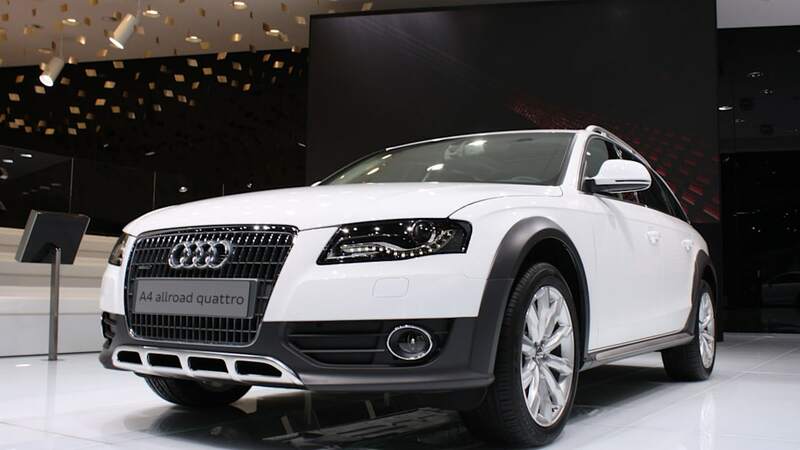 It should come as no surprise that the A4 allroad quattro offers sportiness, comfort, and stability – onroad and offroad. After all, it is an A4. On rough terrain, the A4 allroad quattro relies on a high-tech feature of its Electronic Stabilization Program (ESP): the Offroad Detection (ORD) technology automatically identifies the type of driving surface and adjusts the ESP's control parameters accordingly. When the driver depresses the gas pedal, ESP increases propulsive power by tolerating more wheel spin than otherwise. If necessary, it will override for a time in the interests of safety. On paved roads, Audi drive select further enhances the joys of driving. This control system automatically and perfectly adapts the personality of the Audi A4 allroad quattro to the driver's preferences. Audi drive select namely evaluates the engine's throttle response, the Servotronic power steering, and S tronic's shift points in automatic mode. The driver can freely switch among three different engine maps: comfortable, standard, and sporty. And MMI navigation plus provides yet another on-board control option, and is individually programmable. Audi drive select can be paired with Audi dynamic steering. It consists of a superimposed gear system, and varies the steering ratio as well as steering assistance in a continuously variable manner. Audi drive select functions directly at low speeds and indirectly at high speeds. At the vehicle's cornering limit, the dynamic steering keeps the A4 allroad quattro on course via split-second corrective actions – subsequently obviating extensive ESP intervention. 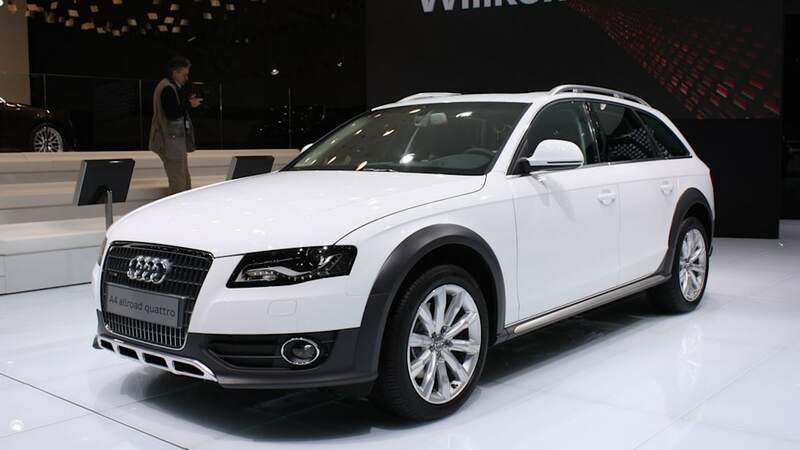 The Audi A4 allroad quattro will be available at dealerships early this summer at a basic price of 37,100 euros. It is generously equipped with 17-inch lightweight alloy wheels, fog lights, a headlight washer system, roof rails, a convenient luggage-compartment cover, a reversible loadliner, an automatic climate-control system, an electromechanical handbrake, and a sound system with CD player. Optional equipment also includes a multitude of attractive features. The high-beam assistant automatically switches between high beams and low beams. The two-part panoramic glass roof with an electrically operated interior shade suffuses the interior with sunlight and fresh air. And the electromechanical tailgate, the ingenious three-zone climate-control system, the xenon plus headlights with LED daytime running lights and LED reverse lights, and the climate-controlled comfort seats are all luxurious options. If a customer so desires, they can take delivery of an A4 allroad quattro with innovative assistance systems straight from the luxury class. Audi lane assist helps the driver to remain in a given lane, while Audi side assist makes it safer to change lanes. Adaptive cruise control is a radar-assisted cruise-control system which detects vehicles ahead and maintains the proper following distance by braking and accelerating on its own. Should the rate of deceleration for some reason not suffice, the system alerts the driver via one of two alarms based on the extent of danger. Audi also offers top-notch multimedia options. The world-class MMI navigation plus system belongs to Audi's cutting-edge generation of new high-tech devices. It integrates a color display with three-dimensional maps, a DVD player, a voice-activated unit facilitating whole-word commands, and a large hard disk drive which stores data for navigation, music, and phoning. MMI navigation plus can be rendered even more sophisticated by means of tuner modules which enable digital TV/radio reception. Last but not least, a Bang & Olufsen sound system indeed constitutes a luxurious extra: its 14 speakers delivering 505 watts create breathtaking surround sound.